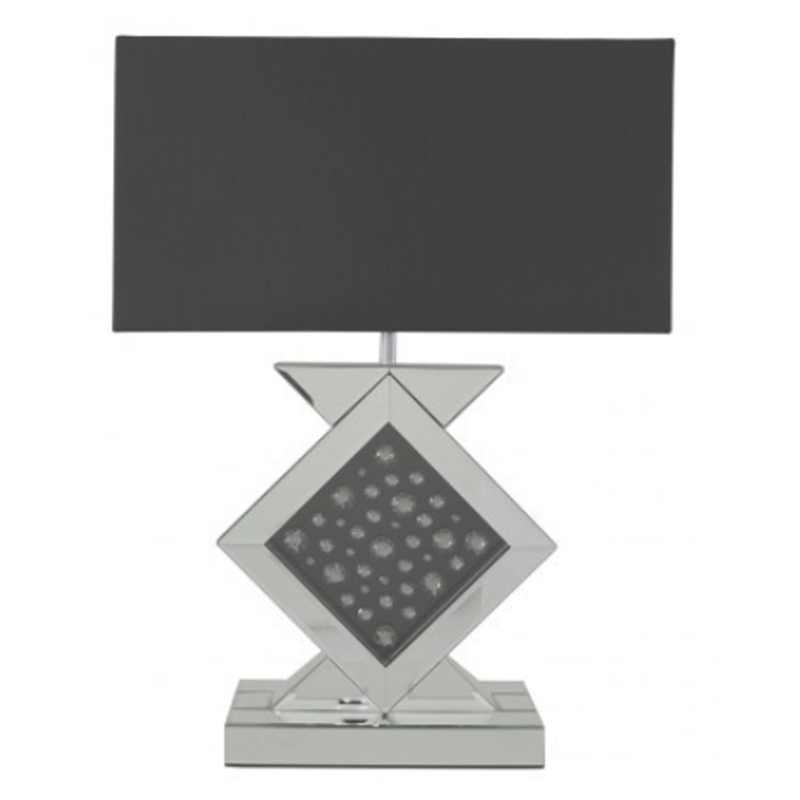 Add a modern touch to your existing interior with this beautiful Black & Chrome Modern Table Lamp. Featuring a 20 inch black rectangle shade, it sits on top of a chrome and black base that has a unique design. Including an array of floating crystals inside inlaid glass this table lamp is a perfect addition to add to your home.